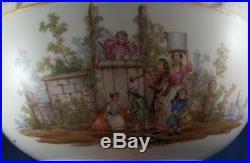 A large punch bowl and lid made by KPM in about 1830 before they used the painters marks. 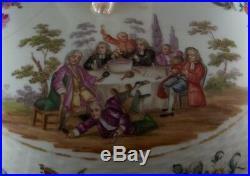 The bowl and lid are superbly hand painted with two large scenes each after Hogarth. 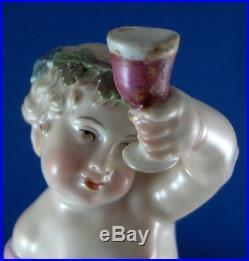 Nice figural finial on the lid that is supposed to be Bacchus I believe. 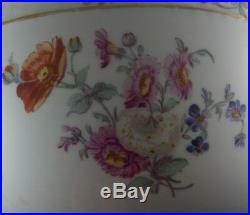 They both have a molded basket weave edge and some gold trim and lots and lots of flowers all around. 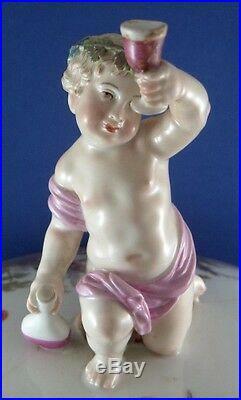 Some wear to the gold trim as well and a small restored spot on the cup he is holding. 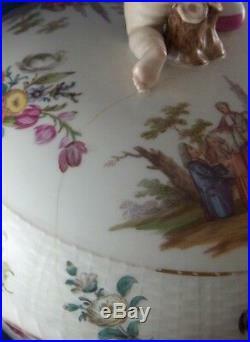 The bottom is marked underneath with the under glaze blue scepter as well as an impressed Y and 1. 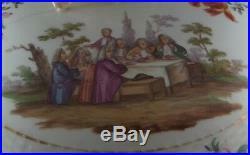 The bowl is 4.875 inches tall without the lid which is another 6.5 inches tall. 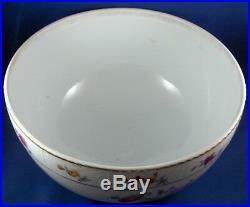 The bowl has a diameter of 9.625 inches. If you like my goodies have a look at my other auctions for a lot more top maker pieces like Frankenthal , Sevres and so on. Photos are part of the description - if you need others just let me know exactly what you are looking for and I'll take care of it speedily! Please do not send me questions on items other than my own! 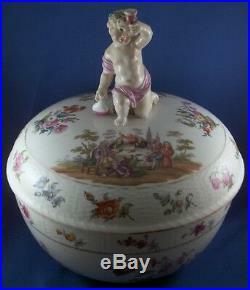 The item "Antique 19thC KPM Berlin Porcelain Scenic Lidded Bowl Porzellan Schale Scene" is in sale since Wednesday, August 22, 2018. 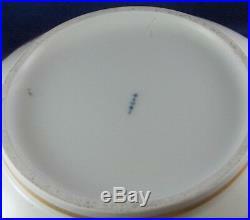 This item is in the category "Pottery & Glass\Pottery & China\China & Dinnerware\KPM". The seller is "kpmisbetter" and is located in Sparta, New Jersey. This item can be shipped worldwide.